Edwin Horton was born on March 28, 1916, in North Eastham, Massachusetts. He enlisted in the U.S. Army on September 30, 1935, and served in the Field Artillery at Schofield Barracks, Hawaii, from November 1935 until May 1938. Horton next served at Fort McDowell, California, from May 1938 to February 1939, when he was transferred to Fort Ethan Allen, Vermont. He transferred to the Army Air Corps in September 1939, and was trained as an Aerial Gunner, Gun Turret Mechanic, Aircraft Armorer, and Aircraft Mechanic. 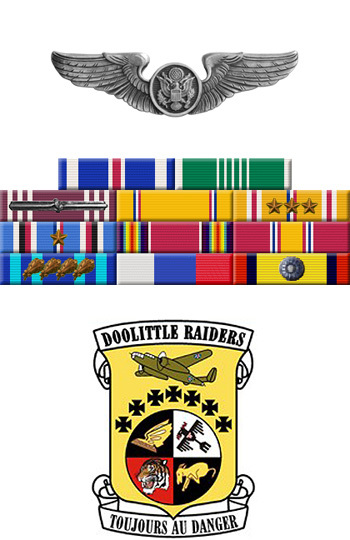 He served at March Field, California, from September 1939 to February 1940, and then joined the 89th Reconnaissance Squadron, where he served at bases in California, Washington, Oregon, and South Carolina from February 1940 to February 1942, when he was selected to participate in the Doolittle Mission. SSG Edwin Horton was the Gunner on the tenth B-25 to take off from the aircraft carrier USS Hornet on April 18, 1942, and after bombing its assigned targets in Japan, the crew bailed out over China when their aircraft ran out of fuel. He joined the 11th Bomb Squadron in China and remained in the theater until May 1943, when he was transferred to the 87th Bomb Squadron, first at Will Rogers Field, Oklahoma, and then at Drew Field, Florida. His next assignment was with the 465th Bomb Squadron at Williston, Florida, from November 1943 to March 1944, and then at Kissimmee and Orlando, Florida, from March 1944 to October 1946. Sgt Horton served with the 3200th and 3206th Climatic Test Squadron at Eglin Field (later renamed Eglin AFB), Florida, from October 1946 to July 1953. He served with the 580th Air Resupply Squadron at Wheelus Field, Libya, from July 1953 to June 1955, when he was transferred to U.S. Air Forces in Europe. Sgt Horton's final assignment was back at Eglin AFB, where he served from January 1956 until his retirement from the Air Force on August 6, 1958. Ed Horton died on November 26, 2008. For extraordinary achievement while participating in a highly destructive raid on the Japanese mainland on April 18, 1942. 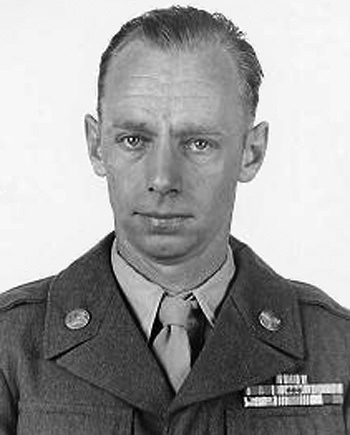 Staff Sergeant Horton volunteered for this mission knowing full well that the chances of survival were extremely remote, and executed his part in it with great skill and daring. This achievement reflects high credit on Staff Sergeant Horton and the military service.